Its three books in one paperback book ‘The Eve Chronicles” or if you like ebooks look for “From the waters of Coyote Springs” ‘Felix and Eve” and “The Arrangement” they tell the story of a young women who leaves her life in Wisconsin and goes to Oregon to work as a forester doing timber stand inventory for the Forest Service. The group of 5 foresters live in their camp with trailers and tents down by Coyote Springs in the Wallowa Mountain in eastern Oregon. The men in the crew tease Eve relentlessly but it doesn’t take long before they call her “Queen of the Comeback” “Felix and Eve” is when she moves to the coast and lives in Gold Beach with an elderly man who needs a caregiver for the summer as he recovers from by-pass surgery. He’s a cranky old dude but he takes a shining to Eve, they play cards every night and he tells her about his former life when he worked for the notorious gangster Al Capone back in the day. “The Arrangement” ebook is about the now-retired Eve who has bought property on Moon Mountain in Eugene, Vinnie her neighbor, whom she let set up his yurt in her backyard. Vinnie is in love with Eve but remains silent. Every year Eve gets the same letter with a skeleton key in it. She takes off down south to Catalina Island and cares for her former lover who has a debilitating disease called Multiple Sclerosis. She stays there for the summer while Sid’s wife takes a much-needed vacation. Sid and Eve reminisce about their past. As you can tell I am still on my shameless self-promotion tour. Read my author page about my book that takes place in the remote Wallowa Mts in eastern Oregon when I lived in my tent and worked as a forester doing timber surveys in eastern Oregon. It’s the closest I’ve become to being a vagabond. Living in my tent in alongside five other mismatched foresters, who were mostly men. I was teased relentlessly so it didn’t take long until I was referred to as “The queen of the comeback”. MS can turn out to be a good thing. Your essay really hit home for me, as it expressed exactly how i felt waiting for the dr to tell me the news. As i was walking into the doctors, there was a long hall to get to his door and i thought to myself, “when i walk out this door my life will be changed forever” and it did. But like you said, it doesn’t define me, thinking the worst is only a first response, since i had progressive kind i thought my life was over. After the initial shock of it all, was over, i developed into a calm state where i began the first day of the rest of my life. My MS stabilized and hasn’t progressed in 10 years, . One day when i was cleaning out my closets, i found my journals from the early days when i first moved to Oregon, when i worked as a timber inventory forester in the Wallowa Mts in eastern OR. As i read them, i started to chuckle and thought, these would make a good book, so i wrote three fictionalized memoirs, i never would have found the time to write, if it wasn’t because of MS. I worked 35 years in service to people with disabilities, who better to know, life can be just as good even if you use a walker or are in a wheelchair. My profession taught me how to access grants, durable medical equipment so i knew the ropes. So without MS i never would have published my three books. “The Eve Chronicles” by Diane DeVillers, check it out on amazon. Life changes, we adapt, and then finally we accept. Your story transported me back to the early days when i found out that yes MS can be a monster, but i am no longer afraid of my dragon, who waits for me, who someday will consume me, but i fight it, i do my best to adapt and move forward to what ever my path will be. Father and daughter both publish books. He’s eighty-two, she’s 58. 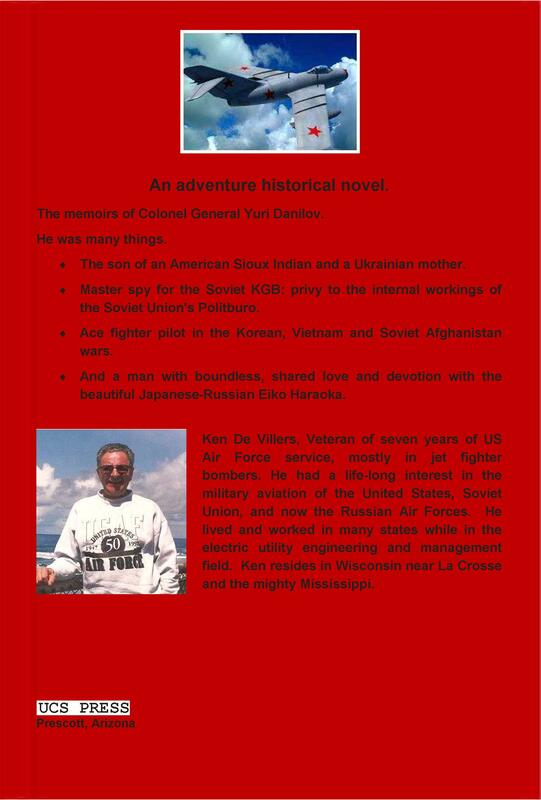 Read a spy novel about the Korean War with the expertise of a Tom Clancy novel, highly researched about an American air force pilot who is half Sioux Indian and half Russian, who eventually makes his way to the top of the Russian Air Force. 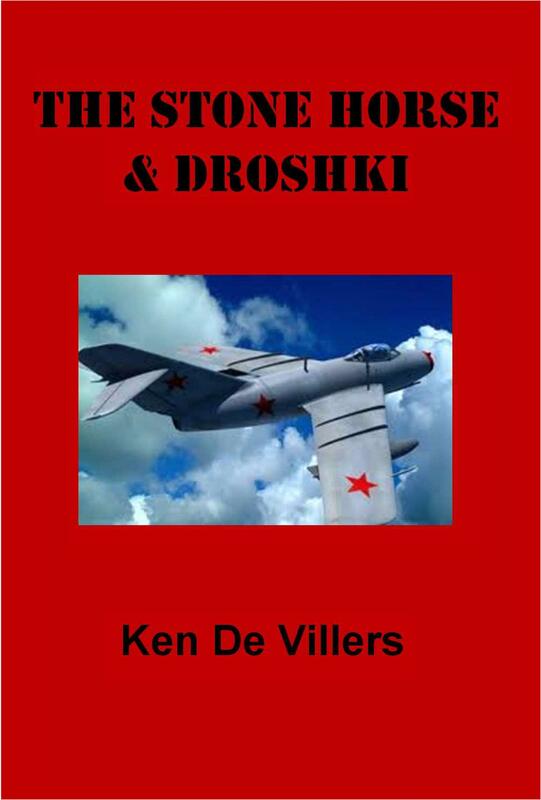 It’s named “The Stone Horse & Droshki by Ken De Villers. Then his daughter , Diane DeVillers wrote three fictionalized memoirs “The Eve Chronicles” about Eve who moves west to work as a timber cruiser doing timber inventory in the Wallow Mountains in eastern Oregon. She then moves to Gold Beach to care for an elderly man who needs a live in caregiver for the summer. He tells her many tales of his life when he worked for the notorious Al Capone in Chicago.Then Eve, now a retired baby boomer, moves to Eugene and attends the Oregon Country Fair before going to Catalina Island to visit a former lover. Her caretaker, Vinnie who lives in her backyard yurt in her back yard, in his yurt, stays behind as caretaker of her property. Vinnie is in love with her but remains silent. A novel about the Korean War.